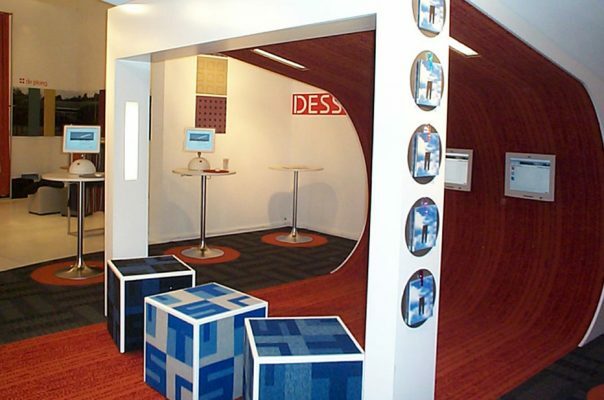 Looking more like an interior in both scale and style, this exhibition stand was designed and implemented for Desso, a Dutch flooring company for an international exhibition. 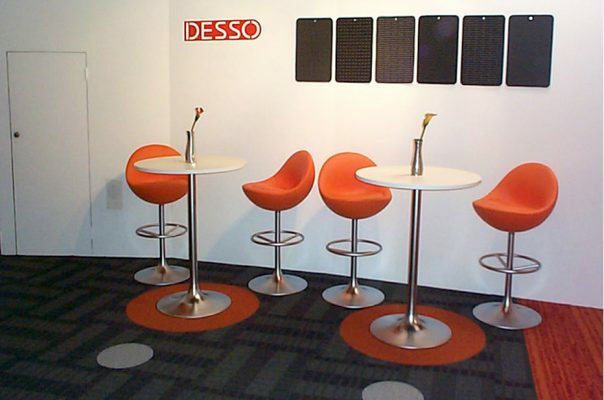 Designed and implemented within the space of a month, the setting responded to Desso’s request for a ‘business club lounge’ feel to creatively demonstrate their products insitu, on floors, walls and overhead. The overall design transformed a physically awkward space (di-sected by an overhead ramp), into a flowing hospitality setting, with discrete zones. 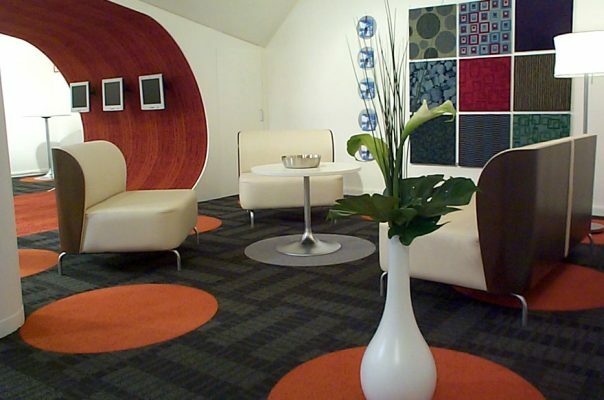 In order to achieve best value, the finishes and furniture were chosen with re-use in mind, deployed after the exhibition within the Desso’s UK HQ and their London showroom. The structure was designed for re-use within the same exhibition the following year, re-skinned with the latest flooring products.